Emails created in Outlook are stored in the user’s computer in the form of PST files, and these Personal Storage files are susceptible to get damaged. Due to any of the reasons mentioned above, PST file can be damaged anytime leaving you in a dire situation. Once the PST file is damaged, MS Outlook fails to access emails, notes, contacts, calendars, etc. in your email account. In this blog, we are going to discuss a few solutions when you get stuck in such a problem. 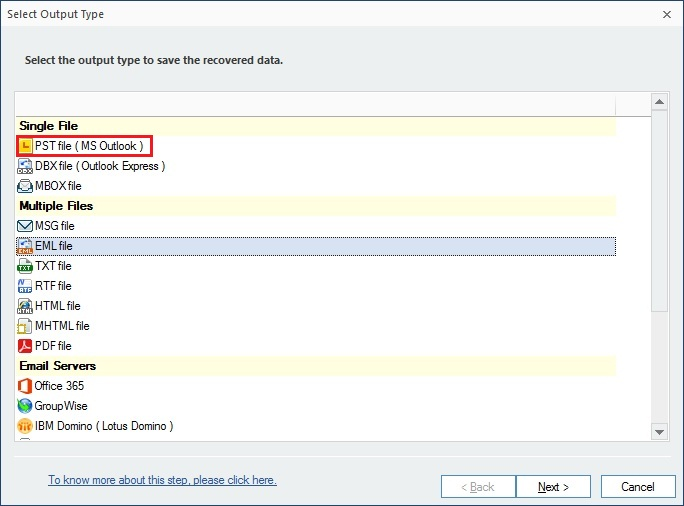 Creating New Outlook Account: Backup is the topmost solution to recover emails, contacts, etc. from damaged PST file. If you have a backup of damaged PST file, then by creating a new user account in Outlook, you can easily get email items back in just a few minutes. After creating a new user account, import backup PST file in it and you will get all your emails back. Click on Start button on the windows and then start the search. 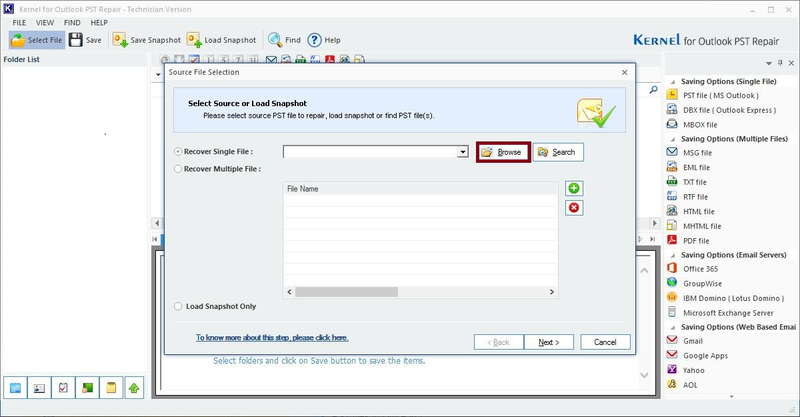 In Search Window, click All files and folders link and then type Scanpst.exe. Double-click on the Scanpst.exe program will start. Click Start. After the software has completed the repairing process, it displays the notification of the successful completion of the process. Even though the software notifies that the process is performed successfully, there are chances that your PST file is not repaired at all. Try accessing your emails using your Outlook account. If the file is repaired successfully, then Outlook will work well with it, otherwise, try a reputed third-party software to repair the damaged PST file. A third-party tool is the last but reliable option for you to recover emails, notes, contacts, to do list, etc. back from damaged PST file. 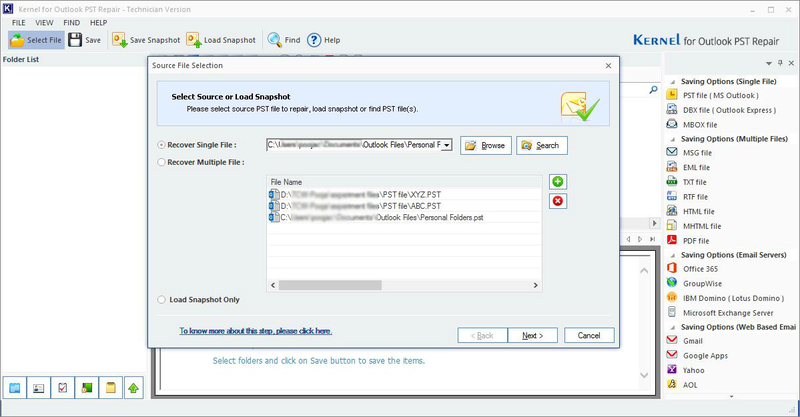 With a third-party tool, you can perfectly repair the damaged PST file in just a few minutes. Kernel has come up with an unbeatable option to repair your Outlook Inbox. With the help of Kernel for Outlook PST Repair Tool, you can repair any sort of damaged PST file. Let’s see how. Start with clicking on the Browse button. Select the file you need to repair and click on Next. Now, you can have a look inside the files and folders with the advanced preview feature. Click on Save to proceed further. 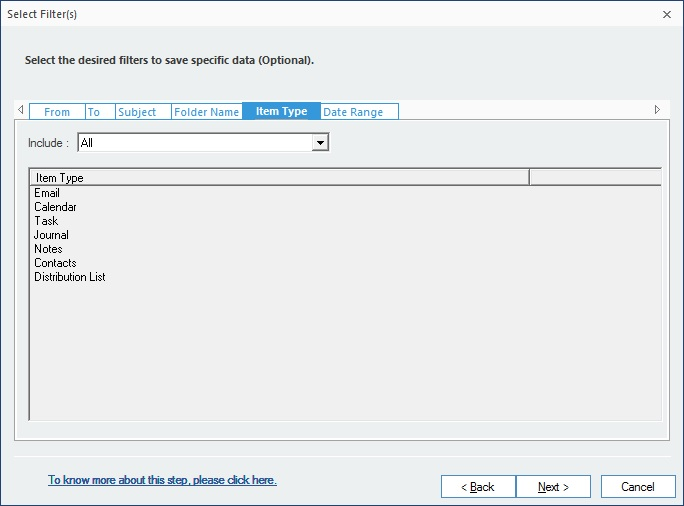 Now select the format you want to save your file in and select PST File (MS Outlook) from the list and click on Next. On the next step, apply filters. Here you can exclude the unwanted data. Click on Next to Proceed. 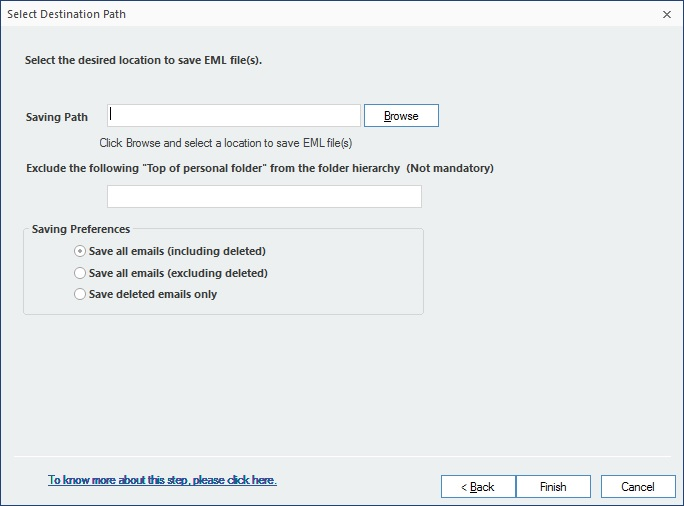 Now select the destination path for your repaired file and click on Finish. Once the process is done, click on Ok and check the folder where you saved your file. We have discussed how one can repair a corrupted PST file from both manual and automated methods. But as we can see how hassle-free, quick, and reliable the automated method is. Kernel for Outlook software uses quick data recovery algorithms due to which the tool quickly repairs the damaged PST file. 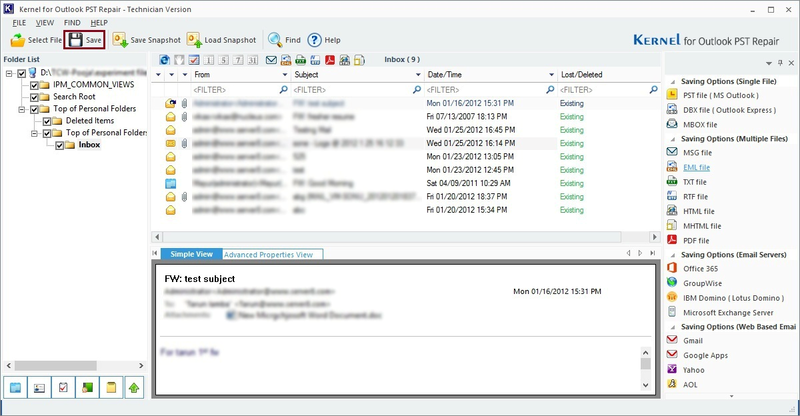 With easy-to-understandable user interface, the software can recover all emails, attachments, notes, contacts, etc. with full accuracy. Moreover, the software can recover emails from PST files created in Outlook 97, Outlook 2000, Outlook 2002, Outlook 2003, and Outlook 2007.